Apple has announced a brand new iPad at its first event of the year in Chicago. The 9.7-inch iPad with support for the Apple Pencil and powered by the A10 Fusion chip. Apple’s new iPad will be priced at Rs 28,000 in India for the 32GB version. The 32GB Wi-Fi + Cellular model will have a price Rs 38,600. The new iPad will be available here from April. 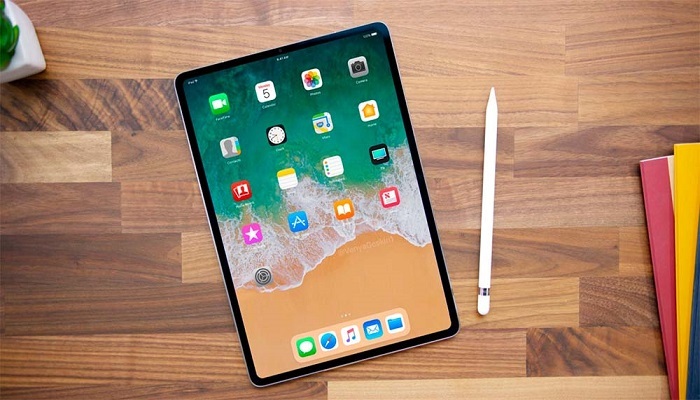 Apple’s new iPad with focus on education comes with TouchID on the front, there’s an 8MP rear camera and FaceTime camera on the front as well. Apple will also offer this in an LTE option, and the company is promising 10 hours of battery life for the same. Thanks to the A10 Fusion chip, Apple’s new iPad has support for AR apps as well. Apple also said that all iWorks apps will now work with pencil and announced updates for them. In addition to this, the company also introduced some apps specifically made for students such as Froggepedia, Free Rivers and more. The tablet also comes loaded with other iOS features, Garageband and more. Another app showcased is called Apple Teacher, which is an online learning program aimed at school teachers. Apple also talked about Swift Playgrounds and Everyone Can Code. Swift is Apple’s coding language and the Everyone can code app is aimed for everyone who wants to code, not just students. Furthermore, a new app called ‘Schoolwork’ has been introduced. It lets teachers see the progress of the students and assign them specific activity. It will be made available in June, probably after WWDC 2018 conference. Also, the new Apple Teacher platform that helps the teacher get their hands on the new content provided by Apple.